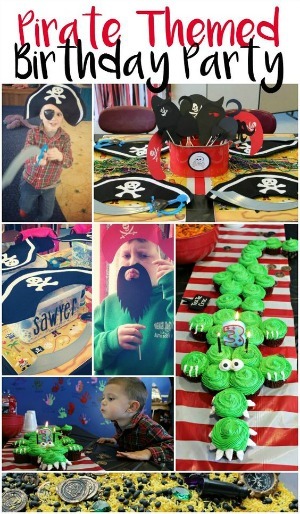 As you know we celebrated Sawyer’s first birthday recently. His Mickey Mouse Birthday came out so nice! 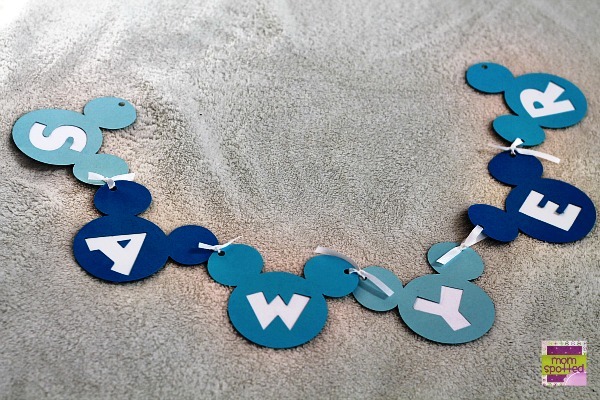 This cute Disney’s Mickey Mouse Birthday Personalized Name Banner as a perfect touch too! Wanna know something else? I didn’t make it! Johnny did! We used our Cricut machine, some cardstock, adhesive, and ribbon. We started it on a Friday night that was too cold to go out and Daddy was out so we weren’t really doing much. Johnny has been bugging me to let him use one of my machines and I had too much on my plate so I figured giving him this project would be both time-saving for me and fun for him. 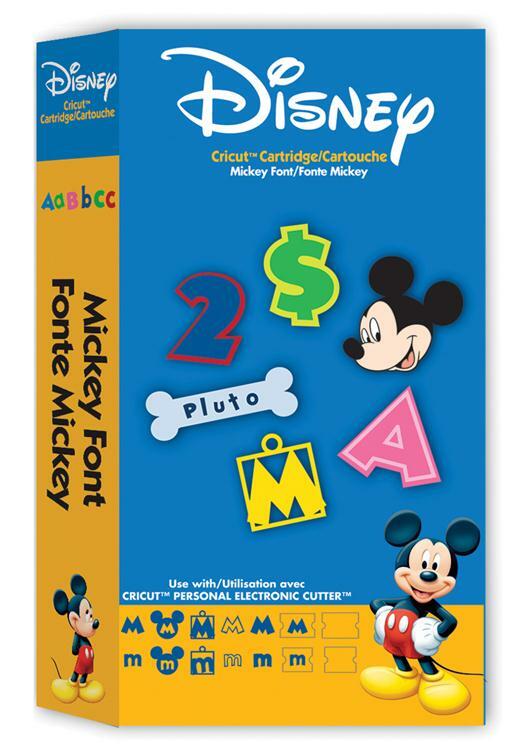 To make the Mickey Mouse shapes for the banner we used our Disney© Mickey Font Cricut® Cartridge that I bought a few years ago and have used a ton of times. The Cricut machine I have is an older model. I would love to upgrade it soon, especially one that can accommodate 12 inches cardstock. Follow the directions on the card and pick the size you want. 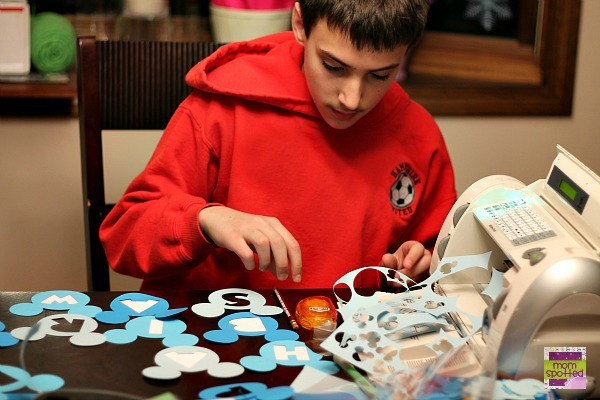 Johnny figured out what letters he wanted what color ahead of a time and precut all his paper to size so once he started cutting he could keep going. We were using a new mat and sometimes I think that it’s hard to get the paper cuts off. 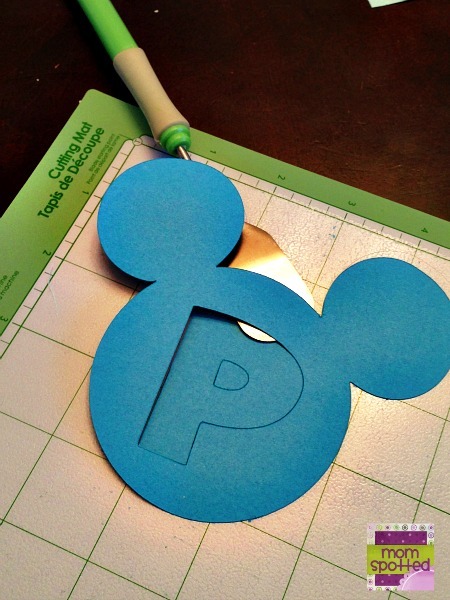 I bought the Cricut Spatula Tool and it’s so much easier. I highly recommend it if you don’t have one. Johnny made sure to work in an area that he could spread out and keep everything lined up. As he cut he kept everything laid out. When he began covering the cutouts he kept it all together still. 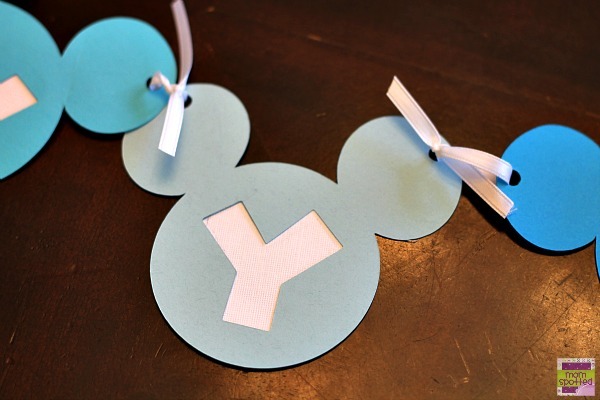 We happened to have a circle punch that was just smaller than the mickey’s making it super simple. We used an adhesive runner as our glue. Then we used a regular paper punch to make small holes in the ears and ran small pieces of ribbon through and tied them off. He left them lose for the most part. It’s nice to do so you can hang them however after. Keeping it lose lets you move is, however, you want to use it. . When he was done. It came out great! I was so proud of him! He actually made his name and HAPPY 1ST BIRTHDAY. 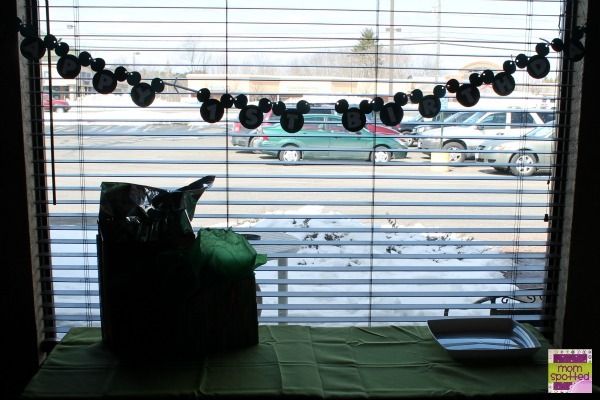 The lighting wasn’t great at the party and you can see here we strung it across a window. In person, it looked great, though! Then fold it up nicely and then place in a ziplock bag to store for your party. 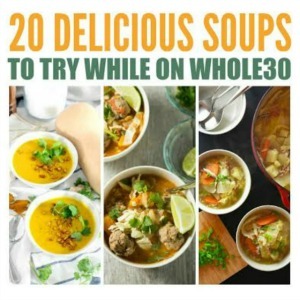 Great make ahead!! Don’t forget to throw two thumb tacks in the bag too! Afterward, I wanted to find a way to make sure we remembered that banner in a special way so when I took Sawyer’s Milestone Baby Photos I added it in. Here he is with his name banner while looking at the Monthly Milestone Birthday Banner I made for his party too! These are the cutest pictures. I love that Johnny helped, he’s awesome! Adorable! I love the colors you chose, too! That is absolutely adorable and your baby is so cute!!!! !Happy belated birthday Sawyer!! 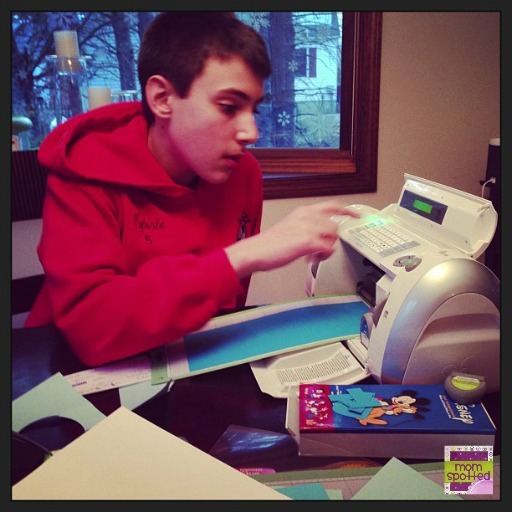 I’ve always wondered how a person uses the cricut. If Johnny can use it, there’s hope for me. Came out really cute. 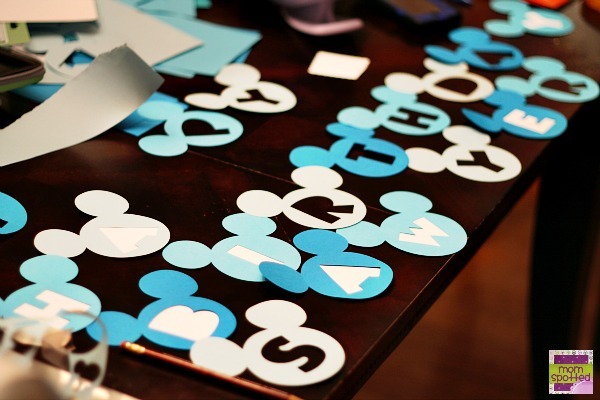 I am doing a Mickey Mouse Clubhouse birthday party for my little guy that is turning 1. I think we just might have to add this to our list of must do decorations. Thanks! Johnny did a great job with the banner. 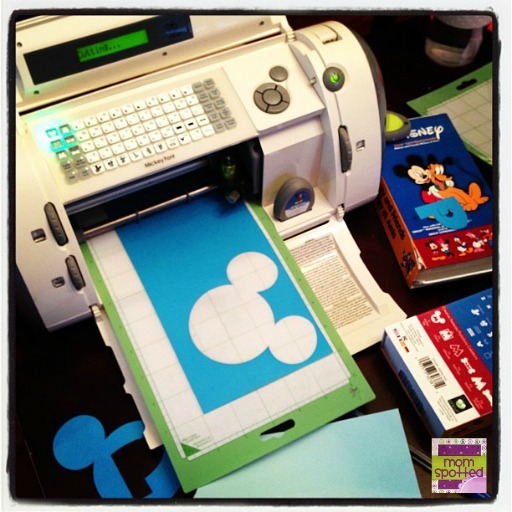 I’ve used my sister’s Cricut several times in the past for craft projects and think it’s a great piece of equipment for projects. What a cute banner! I’d love to hang a banner like this for my grandson’s next birthday! That’s so gorgeous! 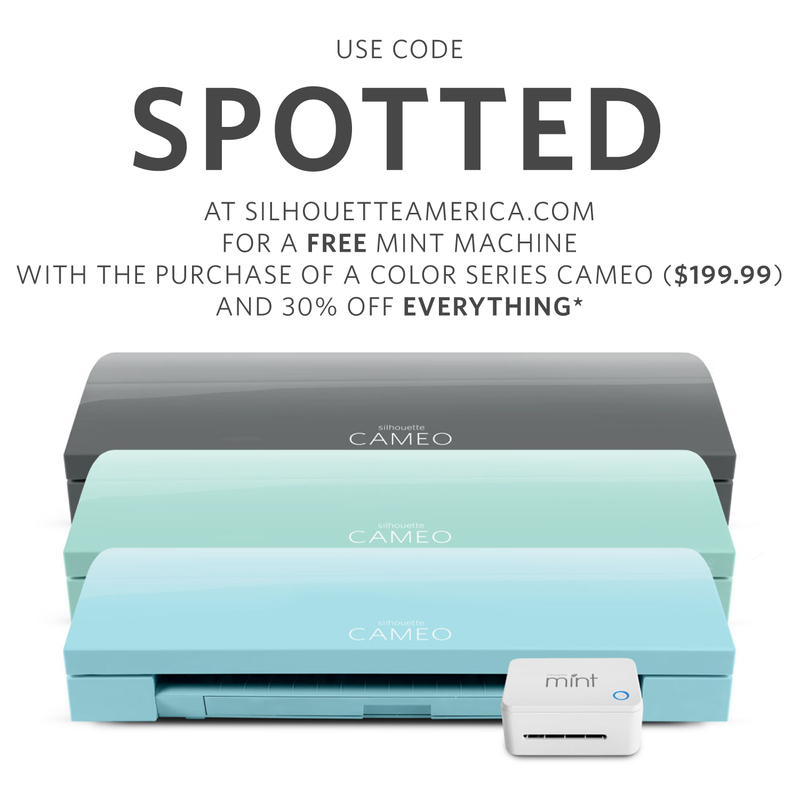 I know Cricut machines are pricey, but they pay for themselves with projects like this! I wish we had a Cricut machine. I didn’t know there were special Disney cartridges too. Your banner looks great–you all did a fabulous job! I’m so glad I’ve stumbled across your 1st birthday party posts. 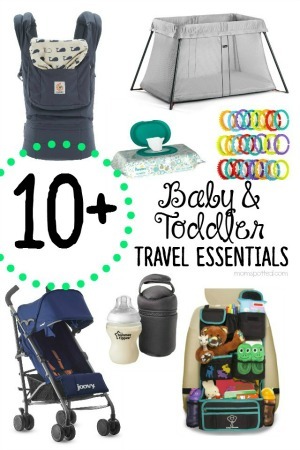 I’m planning my little ones first birthday and am in a rut I want to keep it simple but memorable. And will definitely be doing a banner. This is so cute I love how simple great things can be. 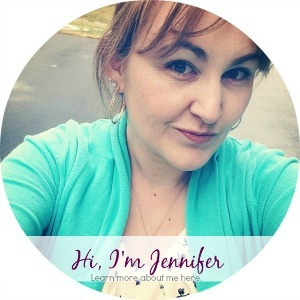 I love your pictures, they are just too cute. 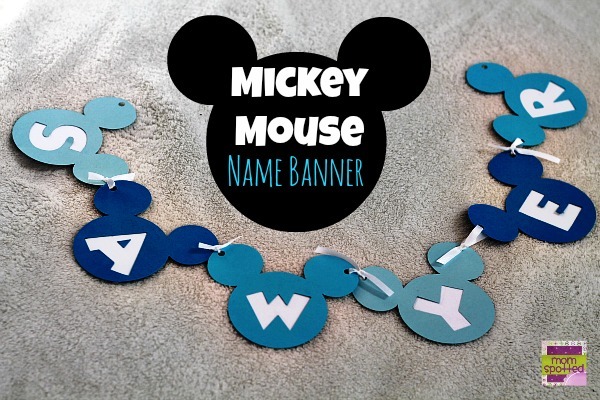 I love Disney themed birthdays and I love the Mickey Mouse banner idea.